Lara croft and Angelina Jolie are synonymous with each other. Giving life to the character in the much loved video game established Jolie as an actress in Hollywood and gave her the opportunity to show her acting prowess by carrying off a film solely on her shoulders. Though Alicia Vikander was a fitting choice for the role in the modern version, she does not possess the same fiery nature that Jolie portrayed in her version. However this nature acts in favour of Vikander because her role comes out as more convincing. Since she is just a high school student who is trying to put on a brave face and constantly pining for her father, we can relate to her more than we can to Jolie. However the excitement is lost in the franchise as the story flows in slow motion. Action movies of this type needs some fast thinking and fast pace. Director Roar Uthaug could very well have turned ‘Tomb Raider’ into a raw, intense action film but the story falls flat on its face. At times you almost feel like yawning or taking forty winks as you feel that you would not miss out on much once you resume watching the movie again. It is many years after the disappearance of her father and Lara sets out on a journey to find a tomb that has been a mystery for years. Being the island that her father reportedly died at, she is faced with the sadness of her past. Soon she is faced with a villain who wants to unlock the secret of the tomb to take on the world. Lara has to prove to herself and others that she has what it takes to carry one her role of the croft legend. ‘Tomb Raider’ tries very hard to accomplish an emotional core to win over its audience in the third act, and for the most part, it works. The emotional core is one of the more enjoyable aspects about ‘Tomb Raider’, due to the fact that the performances here are truly what elevates this film from mediocre to good. However the real handicap of the project is in its script. If the story had more meat in it it would have been embraced by more action loving fans like they did for ‘Black Panther’. 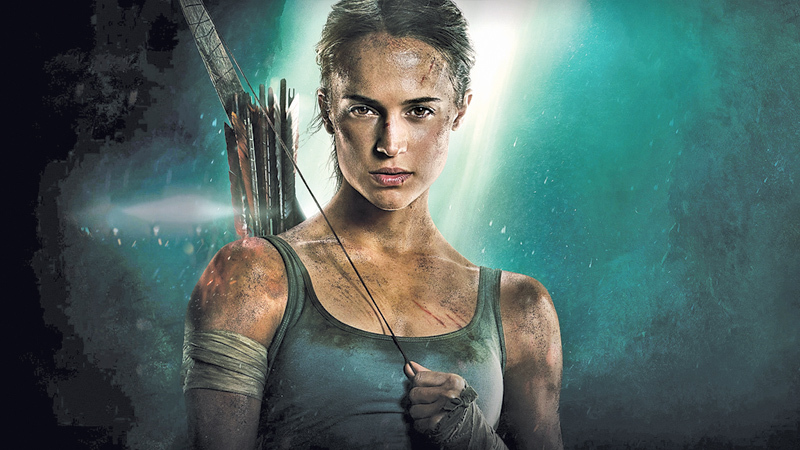 Unfortunately for us ‘Tomb Raider’ comes across as dull and forgettable.